59434-SS15-BG is rated 1.0 out of 5 by 1. Rated 1 out of 5 by M2018 from Too much water restriction Just installed this and the water pressure is far too weak. It has a built in restrictor that cannot be removed. 3 people each took showers with it and asked for the old wand back. 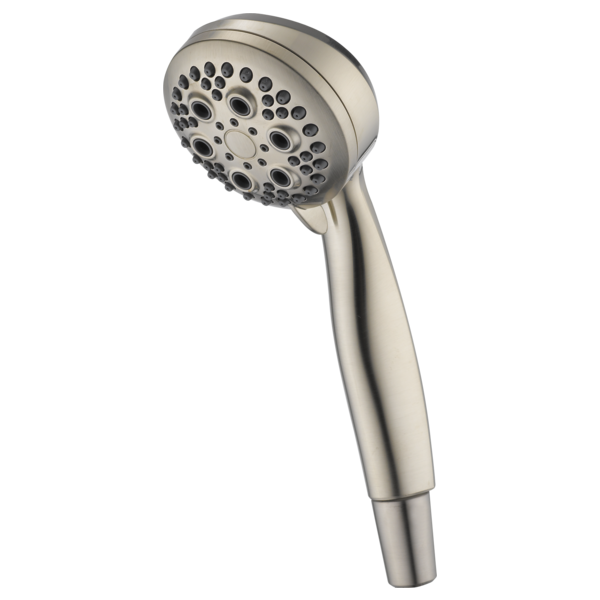 Do you have a stainless hose and nozzle hookup with a holder for this shower head? I am looking for a shower to fit an relatively new Alsons hand shower hose. Will the Delta 59434-15BG fit the Alsons hose?